The line-up for this year's Durham Brass Festival has been announced and it includes a 3 day Big Band Summer School led by Jiggs Wigham and members of the BBC Big Band. This intensive 3 day summer school will feature separate bands for young, intermediate and advanced musicians. 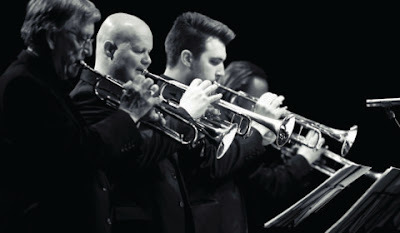 As part of the wider festival The BBC Big Band are performing a concert dedicated to Dizzy Gillespie and the great brass big band leaders such as Glenn Miller, Tommy Dorsey, Quincy Jones, Thad Jones and Maynard Fergusson. 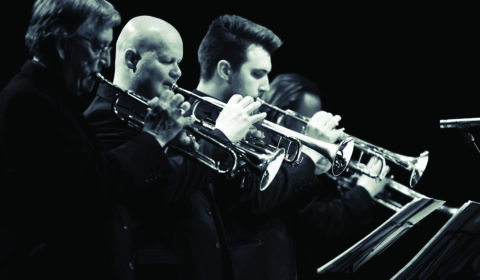 The Summer School will provide emerging and semi-professional musicians the opportunity to work with Director and trombonist Jiggs Whigham, lead trumpet Martin Shaw plus the rhythm section of Robin Aspland (piano), Jeremy Brown (bass) and Tom Gordon (drums). In addition to the big band workshops, there will be an opportunity to join this fabulous rhythm section, other course members and visiting musicians in two Big BRASS Jams as part of the Festival Fringe. Applications are open to those who play trumpet, trombone, saxophones,piano, bass, guitar and drums. For the youth band, musicians must be aged between 17-22. There are both residential and non-residential options for the course. Rooms are available at Chapel Heights (new student accommodation) and all include 100mb internet, en-suite bathroom and a kitchen. Visit the Durham Brass Festival website for more information on the full festival line-up.